'Irwell Enchanted Circle' (Ron Busch, R. 2010). Seedling# 1749-4063. TB, 30" (76 cm), Midseason bloom. 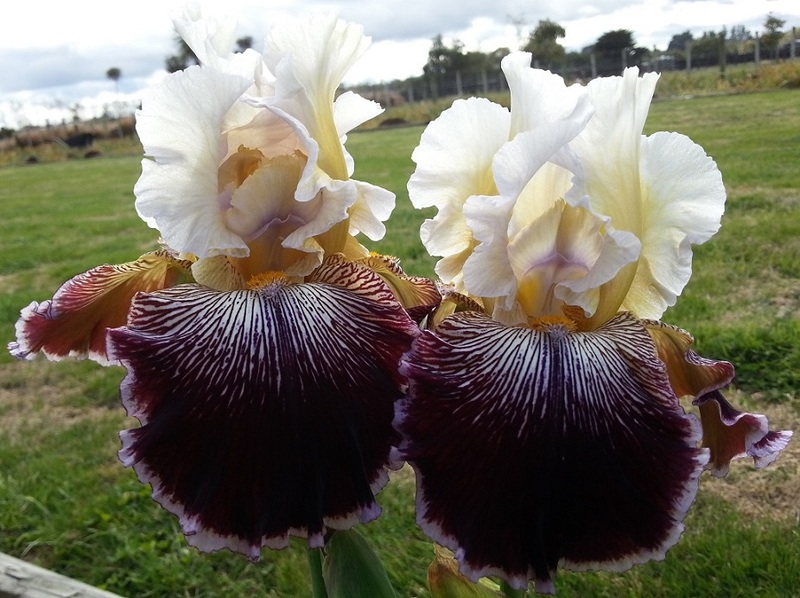 Standards off-white flushed lemon up center; style arms gold, purple center and stigmatic lip; falls red purple, 1/8" off-white edge, white veining around yellow beard extending 1 inch downward. Parentage unknown.